Chip seal on Northwest Palestine Road: Looks a little rough, eh? Driving on some of the roads in north Benton County has gotten a little rougher in the last few weeks, and your tires are making more noise. The tradeoff is that the roads will probably last longer. I noticed the noise this week when driving down Palestine Road toward Independence Highway. Palestine is one of several roads Benton County Public Works had just chip-sealed and then restriped. In this process, a layer of oil is laid down and gravel or rock is spread on top. 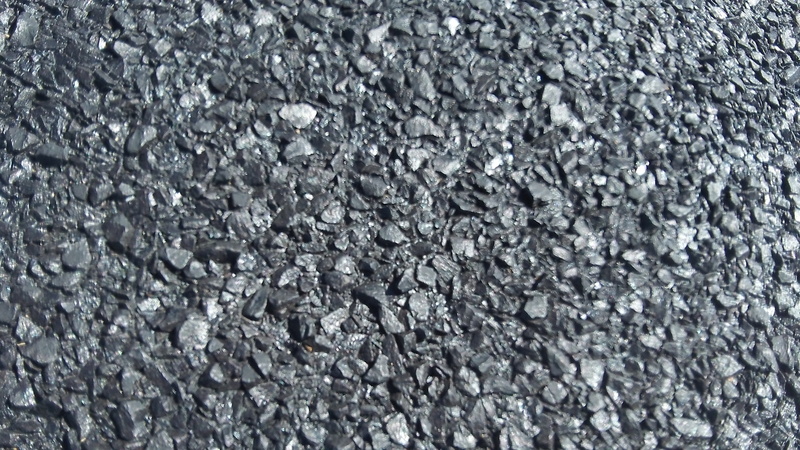 A rubber roller then presses the rocks or “chips” into the oil, and any loose rock is eventually swept up. Rooting around the Internet, I found that 3/8″ rock is the standard for chip-sealing in places as far apart as Washington state and St. Louis, which suggests it’s the preferred size now. As for traffic smoothing the surface in time, that’s already evident on Palestine, which was treated two or three weeks ago. But not, of course, near the shoulder where cyclists ride. On a bike we could ride across 3/8″ rock for 100 years and it would still be jagged and rough. 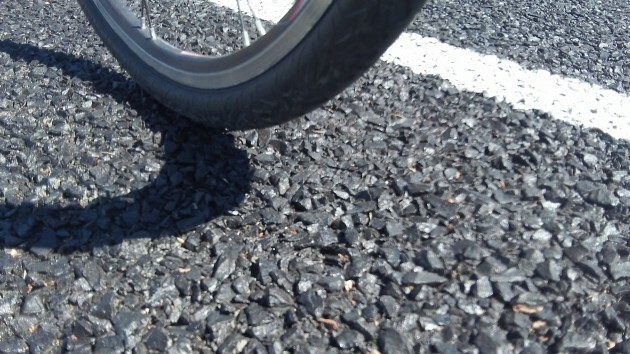 Benton County chip-seals several segments of roads each summer. So why not apply standard asphalt paving when a road begins to get worn out? Because chip-sealing costs a lot less, about 15-20 percent of pavement overlays, the Washington State Department of Transportation says. Bike tires on the shoulder will never smooth this down. My hands would be numb in about 2 minutes with my 26mm tires on my hybrid! The loose gravel had me altering my usual bike route, and I am not sure I want to go back to the chip sealed portion any time soon. As you note, the shoulders looks like they’ll stay pretty sharp. With that sort of cost savings, I don’t see it going away. Looking on line I see smaller aggregate being recommended, leaving the shoulder un-chipped, and reducing tire pressure to help mitigation.